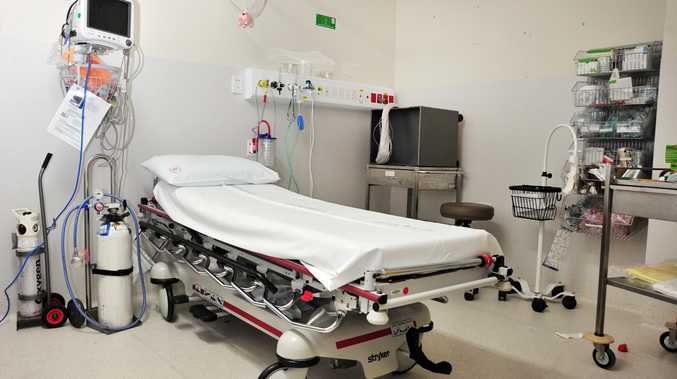 A BRAIN-damaged former patient is suing for nearly $870,000 in a medical negligence claim against Mackay Base Hospital. Patrick Gauci has alleged he was misdiagnosed during a hospital visit and suffered a blood clot that resulted in a stroke. Mr Gauci claims, as a consequence, he sustained injuries including brain damage and damage to his eyes and eyesight. Papers lodged with Mackay Supreme Court reveal Mr Gauci has difficulties with speaking, walking, balance and short-term memory, has lost at least a quarter of his peripheral vision in both eyes and experiences severe headaches. He went to the hospital after suffering left shoulder, neck and chest pain from about 5am, which he claimed was about eight out of 10 in severity. Mr Gauci was admitted overnight and underwent a stress test the following morning during which he did not experience any pain but did have some shortness of breath. He was advised by a doctor to undergo an angiogram four days later. On December 18 Mr Gauci returned to the hospital for the procedure lasting about an hour and 17 minutes, which resulted in him suffering thromboembolism and stroke. A Mackay HHS spokesperson said Mackay Hospital and Health Service is unable to comment on any matters that are subject to legal proceedings. The claim states Mr Gauci wasn't given blood thinners and "acting with reasonable care, skill and judgment" the hospital should have administered heparin by infusion until he was transferred to the cardiac catheterisation laboratory to minimise the risk of thrombus formation and thromboembolism. "The defendant's staff recorded 21 angiographic scenes during the course of the angiogram," it read. "The defendant's staff made repeated unsuccessful attempts to selectively engage the obstructed right internal mammary artery. "The defendant conducted the procedure in a manner that was clinically unnecessary, prolonged and medically pointless after acquisition of scene eight." The lawsuit states that "acting with reasonable care, skill and judgment" the hospital "ought to have concluded that... the symptoms reported by the plaintiff were not due to myocardial ischaemia" and that a coronary angiography was not warranted. "The physical findings... suggested pain of a musculoskeletal origin," the paperwork stated. Mr Gauci alleges the hospital failed to take reasonable care in its diagnosis and treatment of him. "The plaintiff's injuries were caused by the defendant's negligence in that the plaintiff would not have suffered the stroke and consequent injuries except by reason of the defendant's breach of duty," the claim read.